Yesterday morning the four remaining bluebird nestlings earned their wings and joined their sibling Charles Lindbergh up in the trees. Where it is impossible to get a picture of them, or see them even because of their awesome camouflage. We had torrential rains yesterday afternoon and all last night as this summer’s first (small) hurricane/ tropical storm passed offshore. And I ran out of mealworms yesterday morning. I hope all of the new little fledglings survived! 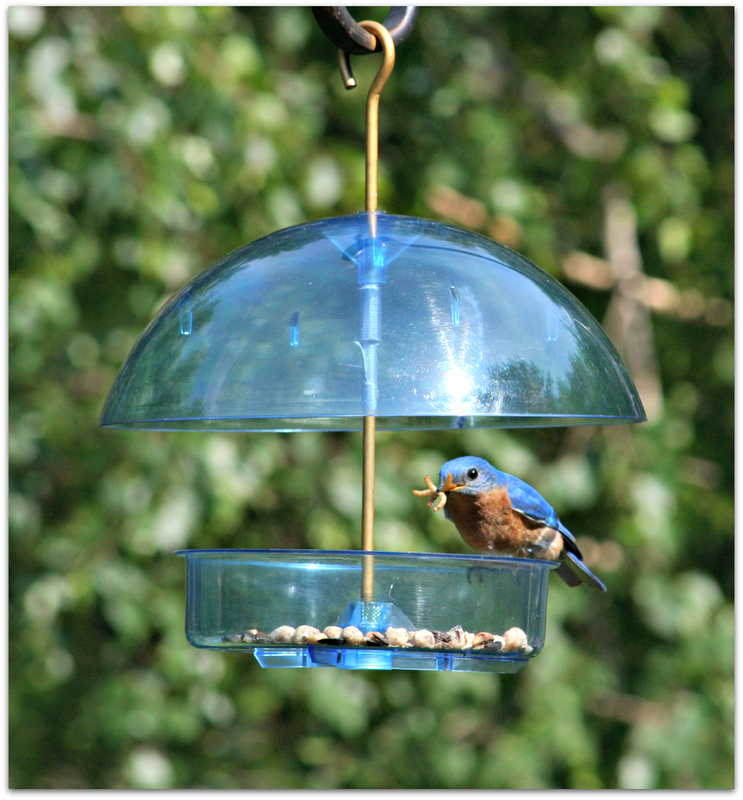 The birds are obviously keeping an eye on their feeder and me, because they appeared the moment their favorite food appeared. 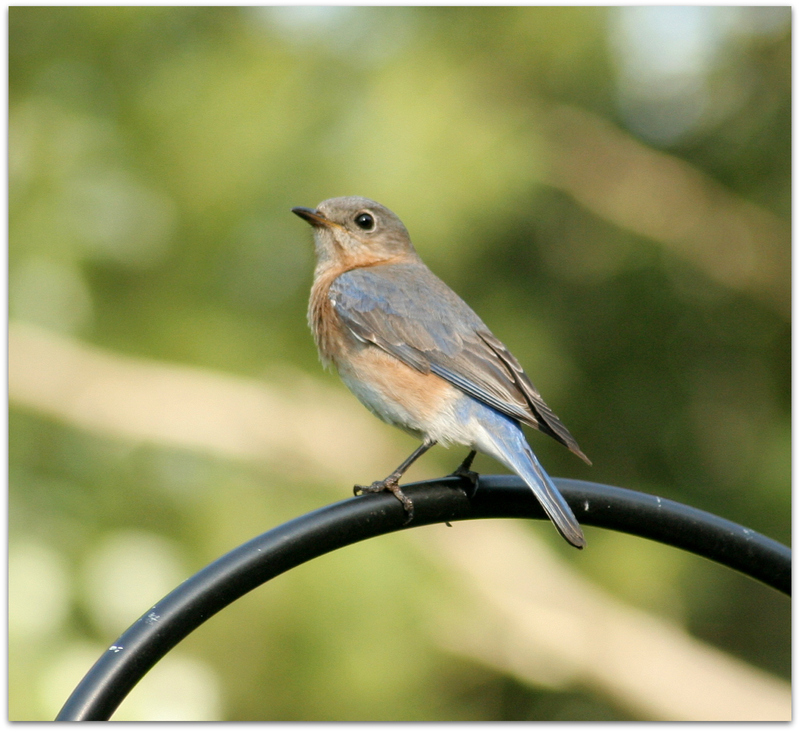 Dear Father Bluebird is off to the treetops with some protein. I picked up my latest mealworm delivery at the post office this morning. One post office worker who likes bluebirds and knows about mealworms had me explain the wonders of darkling beetle larvae plus hungry bluebirds to another post office worker. At the local Agway I found myself proselytizing too. This evening, the two fledglings from this season’s first brood stopped by and did some voguing for me and my camera as I sat on the back deck. They are still wearing their cammies. 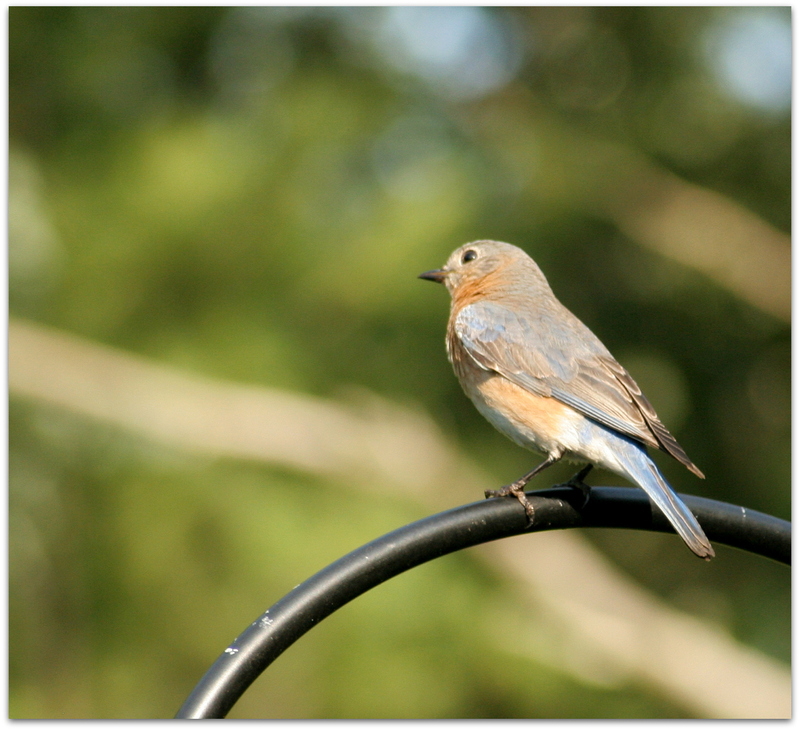 This entry was posted in Uncategorized and tagged birds, Eastern Bluebird on July 5, 2014 by Amy.